Simplify Your Lessons With These Two Models. With these two models you can discuss the circulatory system in greater detail. The four part heart model divides to show interior structure of the chambers and valves and is twice life size for easier examination. Numbers on the model match to a key identifying 40 structures in greater detail. When your students understand the coronary structure, zoom in on the structure of arteries and veins. 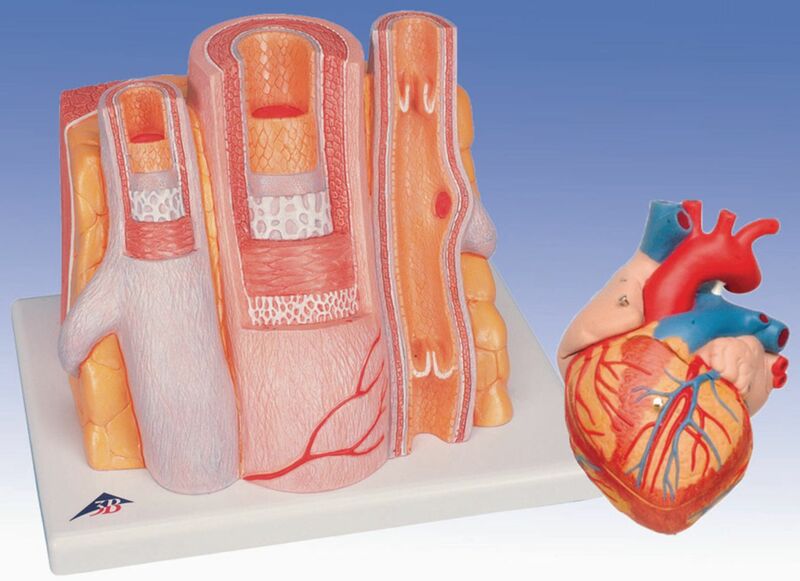 The MICROanatomy artery and vein model is enlarged about 14 times and shows the detailed structure of the walls of arteries and veins. An additional vein is shown in full longitudinal section showing the venous valves.